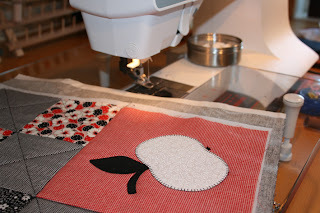 Today I am working on a tablerunner and placemats from AnnAKa's new pattern "Snehvit", or "Snow White"
I really love these fabrics, and I have left overs.... I might just make me a little wallet or someting like that :-), but first I need to finish the runner and placemats. Looks great. 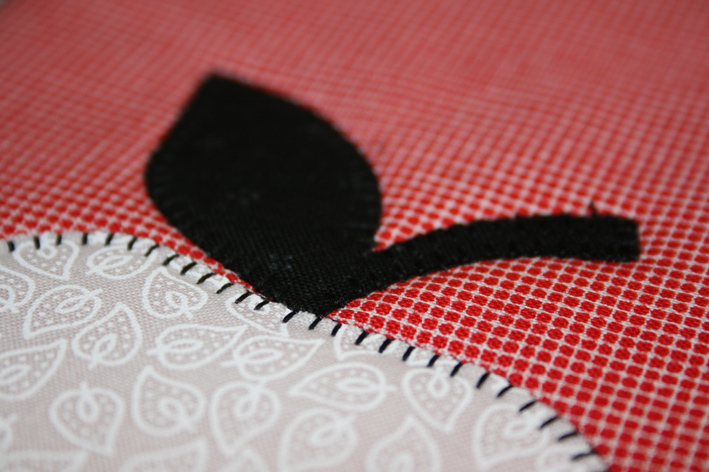 I love the white leaf fabric. Thank you for taking the time to leave a comment, I really appreciate it! I live in my hometown of Tynset, Norway with my husband and three wonderful kids. (well, two have moved out now...) I have always been sewing, and started quilting around 1994 when my daughter was born. In 2007 I opened a quiltshop called "Lappemor", and in 2008 I bought another shop (Husfliden Tynset) along with a friend, so my days are filled with fabrics, yarn, and lots of fun!